Essentially, multiple data center hosting affects the speed at which websites can be accessed. Aside from a very small percentage of large, international web hosting companies, most U.S.-based web hosting companies provide services to local businesses. Some of the largest data centers are located in the United States, and many of those web hosting companies use their own dedicated servers. Some businesses and sites located overseas utilize the services of American companies, and unfortunately for them, their websites tend to load much slower and overall performance is lacking. It is for this reason that businesses targeting local customers often utilize local web hosting providers, which use unreliable small data centers in their country. Multiple data center hosting can be considered an outsourcing solution. Many web hosting companies are relocating their own servers to new data centers. 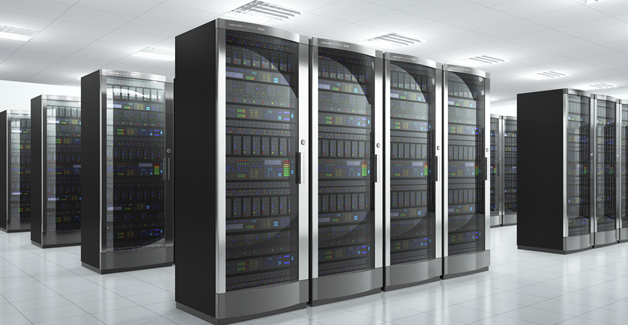 Whatever company you choose to provide your business or site with multiple data center hosting will still be held completely responsible for site administration and any problems that may arise, but the new data center itself provides the server cabinet space, bandwidth, routing, and electricity, among other things. Multiple data center hosting is not reselling. Web hosting companies who choose to move their servers to these data centers still own their servers, as well as a good percentage of the routers and switches that connect the servers to the data center’s Internet connections. Many now consider multiple data center hosting as the solution for this problem. This type of service gives small business and website owners the ability to choose the option they feel will work best for them. Clients get to pick from three existing data centers, and whatever center they choose will be the one responsible for hosting their website. The theory is that the website owner is technically controlling the speed at which their site loads, but only if they understand that the speed will be controlled by choosing the data center that is physically closer to the majority of their clients. For example, business owners should not expect to be able to pick a center in Illinois because a majority of their clientele is located in Chicago. Keep in mind that there are only three main data centers being utilized, so the best option would be to choose a data center located in the United States -- as opposed to choosing a center located in Europe. The location of a majority of your clientele is key when determining which data center to utilize. While webmasters from Norway may choose a Swedish data center, Canadian customers may prefer US data center. It goes without saying that website speed can make or break even the most successful of online businesses. It doesn’t matter if your company offers the most dependable services or appealing goods; it doesn’t matter if your site utilizes the most cutting-edge technology and graphics; if it takes minutes for your site to load, no one is going to see it. Online users have become accustomed to accessing everything online at lightning speed. Dial-up is practically non-existent, with most people utilizing cable/DSL Internet services. We’ve become a country that wants what they want when they want it, and if someone finds your site online and is met with a slow loading time, you can be guaranteed that you’ve lost a customer. During these hard economic times, there isn’t a company or website in the world that can afford to lose even a single customer. Those who have websites and online businesses should consider website speed to be a very important marketing factor. As mentioned previously, it should come as no surprise that multiple studies have found that people leave websites that take too long to load and not only that, but their opinion of the business itself is lowered. Small business owners or those with fledgling online businesses should really consider multiple data center hosting. Some may dismiss it at a ploy for web hosting companies to drum up more business, but it really does increase loading time, which can lead to happy customers and more sales. What’s to lose? Some things can be taken at face value, they are black and white; multiple data center hosting is not one of those things. Utilizing this new type of web hosting is not just about improving load time. Business owners need to think more critically when it comes to the image they hope to project to their clients -- old and new alike -- and the online experience with which they provide them. Today's competitive marketplace requires that online businesses and websites use the most efficient and reliable web hosting services available. After all, what will it say to your clients if you don’t care enough to ensure that they have a positive experience on your website? What does that say about the service you will provide them with? Aside from the speedy response we’ve already discussed, multiple data center hosting also offers a number of other important benefits to fledgling businesses considering making the switch to this type of service. For example, multiple data center hosting offers multiple links to the Internet, backup power supplies and generators, electronic security systems, and 24-hour-a-day hardware and network technicians on site. This last feature is particularly important for an online business. Nothing can be more frustrating than paying a company on a monthly basis and not being able to get through to customer service for hours, and then having to pick up the pieces after the damage is done. As stated previously, the company you’ve chosen -- and not the multiple data hosting center -- will still be held completely responsible for site administration and any problems that may arise. But for minor technical difficulties or glitches that have to do with the data center, it’s especially nice having technicians available at your disposal no matter what the day or hour. It’s possible to create an online business that’s thriving, but one of the downfalls is that weekends don’t keep people off the Internet as they keep them out of the office. This is why it’s so important to make sure that the web hosting you choose provides support 24 hours a day, seven days a week. After all, technical problems can occur at any time, day or night. Multiple data center housing provides a very cost-effective means of accessing a secure hosting environment. Most companies that provide this specific service help small businesses and websites by saving them time and money. It has been reported that the cost of utilizing a company that offers multiple data center hosting is a bit more expensive than utilizing the services of an average web hosting company. Choosing multiple data center hosting should be seen as the same as choosing to “green” your home with energy efficient appliances: the upfront costs may seem excessive and overwhelming, but it saves a significant amount of money in the long run and definitely evens out. Multiple data center hosting companies are providing their clients with super-fast service that will help the quality of their business. Many companies that offer this service are also providing high speed connections through multiple carriers in order to prevent downtime. Many also have a guaranteed power supply that incorporates UPS for short-term combined with an onside diesel generator and sub-station for any extended power outages that may occur. Other popular features include the deployment of new machines within 24 hours in case of technical emergency or equipment malfunction and the use of electronic access security and security guards to protect all equipment. It’s important to understand that these data centers assist countless small businesses and websites and it’s of the utmost importance to them to keep their clients happy, because if not it will greatly affect their livelihood. In other words, it’s in their best interest to make you happy so you can rest assured that you will be well taken care of. Multiple data center hosting may not be for everyone. Surely there are those who prefer local web hosting companies whose services and performance more than meets their needs. If you want to expand your client base, quicken your load time, and provide your future clientele with a positive online experience, then multiple data center hosting may be for you.